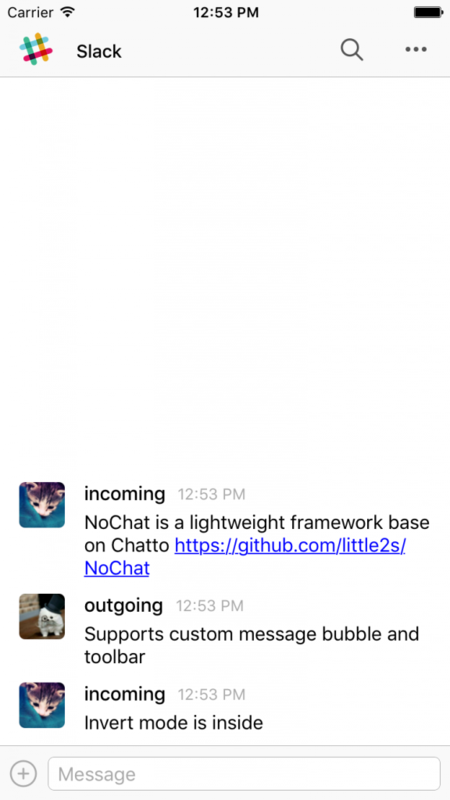 NoChat is a Swift lightweight chat framework base on Chatto. 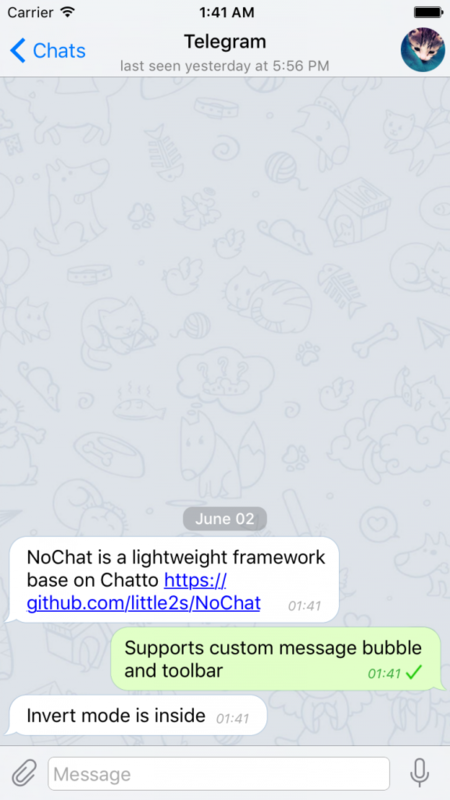 Along with NoChat, there are three companion frameworks: NoChatTG, NoChatMM, NoChatSLK. 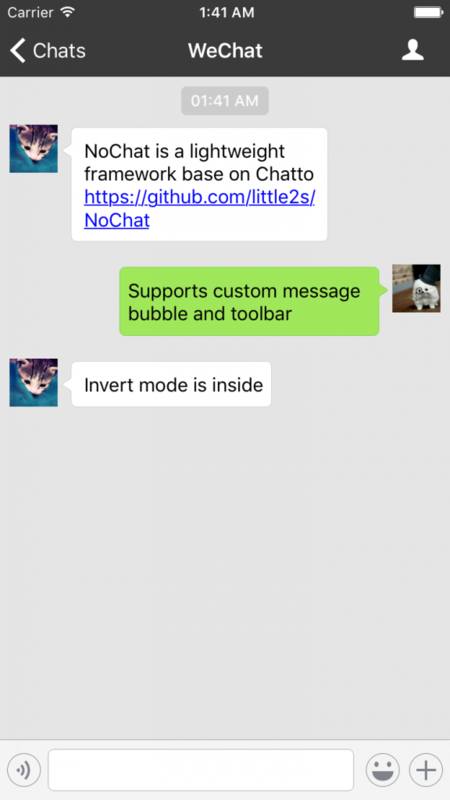 These companion frameworks are just different user interface, you can custom your own with NoChat :].